Their reaction came soon after Modi announced that India became "a space superpower" by becoming the fourth country to acquire anti-satellite capability. 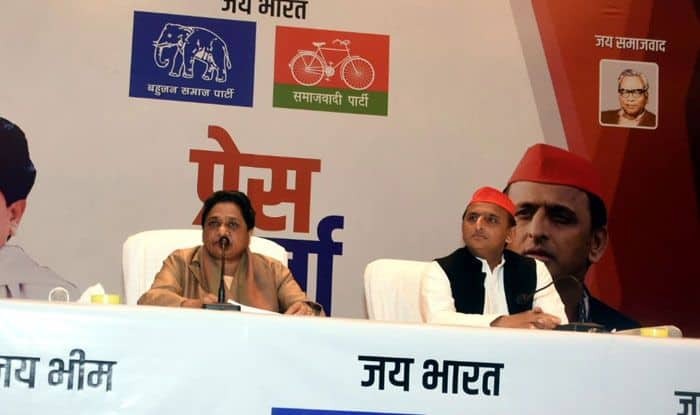 Samajwadi Party chief Akhilesh Yadav and Bahujan Samaj Party (BSP) supremo Mayawati on Wednesday accused Prime Minister Narendra Modi of diverting people’s attention from real issues and urged the Election Commission to take note of it. Their reaction came soon after Modi announced that India became “a space superpower” by becoming the fourth country to acquire anti-satellite capability. Taking a dig at Modi, Akhilesh Yadav accused Modi of diverting the attention of the people from real issues by pointing to space. “Today Modi got himself an hour of free TV to divert nation’s attention away from issues on ground — unemployment, rural crisis and women’s security — by pointing at the sky,” he said, adding the success for the mission belonged to scientists. Mayawati too asked the Election Commission to take serious note of Modi’s speech. “Many congratulations to the Indian security scientists for destroying a satellite in space and making the country proud,” she stated. But she said that Modi’s attempts to score political gains was condemnable. “The Election commission should take serious note of it,” she tweeted.